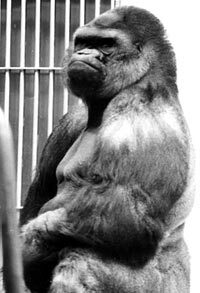 If you visited the Milwaukee County Zoo anytime from 1950 through 1981 then you almost certainly remember Samson, our western lowland gorilla. Do you remember his extra-large size and huge personality? 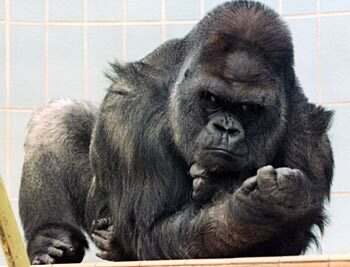 I Remember Samson, a paperback book by Zoo Pride volunteer, Darlene Winter, and in collaboration with Samson’s keeper, Sam La Malfa, details Samson’s early years through his untimely death, at age 32, from a heart attack. All proceeds from the publication will go to the Zoo’s Great Ape Heart Project (GAHP). Cardiovascular disease is a major cause of death in captive great apes. The GAHP is researching heart disease in great apes and establishing diagnosis, treatment and prevention strategies to help combat this problem. The Milwaukee County Zoo is a participant in the Atlanta-based program. I Remember Samson can be purchased for $10.99 at the Milwaukee County Zoo’s Flamingo Gift Shop or through Amazon.